Who would have thought of this? The World gets weirder and weirder every day. This architectural student had an idea where he thought it would be a good thing to make an overhead airport in a busy cosmopolitan city. Alex Sutton from the Barlett School of Architecture submitted this final project as a part of a Utopian dream in his architectural class. 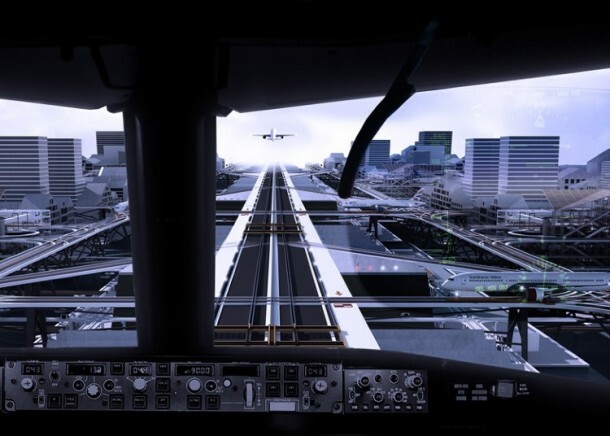 His concept design envisages huge super jumbo aircraft taxiing out and even taking off from one or more of these elevated fast-track pathways built specifically for this purpose. The city he has shown is Sweden’s capital, Stockholm. The taxi track makes a loop around the town amidst buildings, hospitals, road and rail networks, electric poles and even skyscrapers to reach its destination. How crazy would that be? The noise alone would decapacitate hundreds daily! 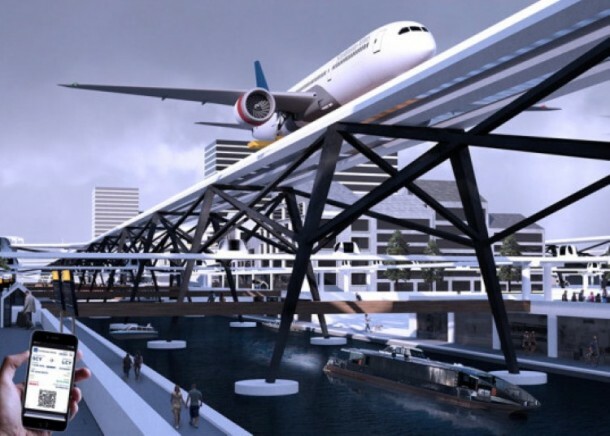 In a different approach, a personal rapid transport system takes passengers and their baggage straight to the cargo terminal instead of going to the airport every time. The plane would make some stops en route to the take-off track and pick passengers up. Hello, Mr. Architect! These are planes, not your average air conditioned buses. A series of pods are used to take the passengers to the destination. 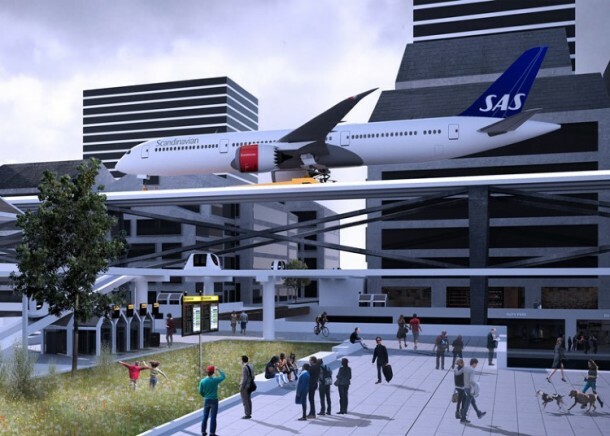 We might feel that this airport increases the interaction of aviation with the public and city itself instead of being miles apart and only contributing to the noise. 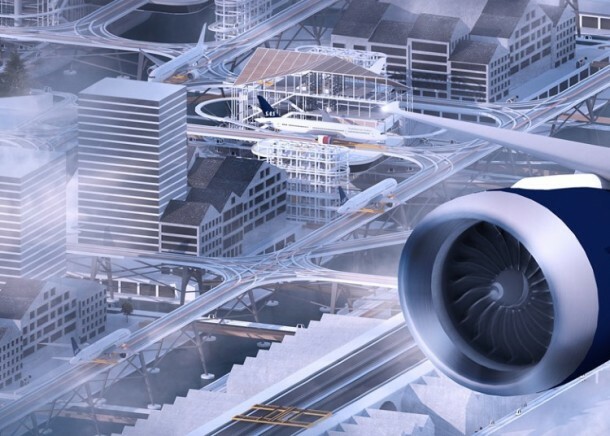 But, this design presents a host of problems that we have to overcome to make it happen like noise pollution, jet exhaust and a vibrational threat to structures. Interestingly, they are the prime reasons why airfields are built away from the main concentration of buildings in a city. What do you think of the elevated tracks? It would definitely give a good view of the city from the plane, huh?